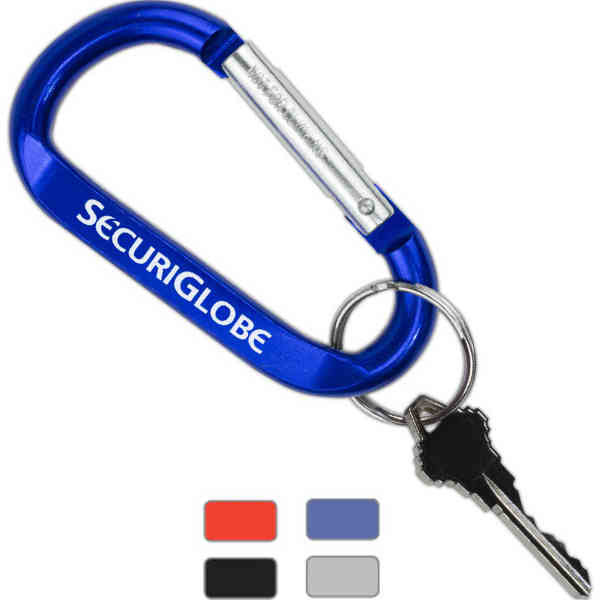 This large carabiner with split ring is an oblong metal ring with a spring clip. Not for climbing. Laser engraved imprint included in price. Size: 3/8 " x 3 1/8 " x 1 3/4 "
Price Includes:laser imprint, one location.